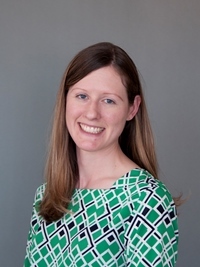 Duke MEMP Alum Kristina Larson Tracy (08’) is currently a Product Manager at the Broad Institute of Harvard and MIT. The Broad is a highly collaborative non-profit biomedical and research center whose goal is tackling complex problems and transforming medicine by better understanding and treating disease. Kristina’s work entails managing the RNA Sequencing and Expression projects that go through the Genomics Platform. Her role requires her to keep things moving in the pipeline as well as to ensure projects are completed on time and within budget. Kristina believes that her experience at Duke has been instrumental in her success. The MEMP courses she took in Management, Finance, and Project Management have been contributory to her work at the Broad Institute. With these courses she learned how to understand and work with a team setting, deal with conflicts that can arise within the team, and develop people management skills, all of which is a part of her everyday work. For Kristina, the biggest takeaway from her time in the MEMP is the understanding it gave her for working in the business world and also learning how to better interact with and manage a diverse set of people. Kristina’s favorite MEMory was the exposure she got to industry leaders during the weekly Friday seminars. The networking opportunities that came with the MEM Program proved to be extremely beneficial to her as well.